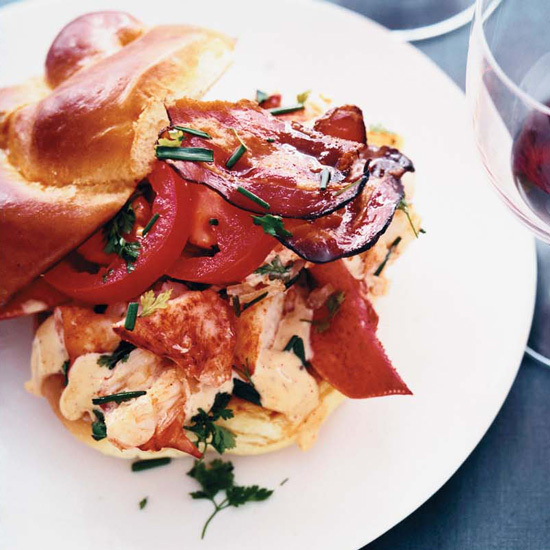 Chef Rebecca Charles has been New York’s undisputed queen of lobster since she opened Pearl Oyster Bar in 1997. Here, Charles shares her method for grilling lobsters, along with three variations on a butter sauce. Even if you’re not relaxing on the Maine coast, there’s no better way to celebrate summer. 1. Preheat grill to medium-high heat, 400° to 450° (if you’re using charcoal, build a medium-high fire and wait for the coals to turn gray). A good test of a ready grill: Place your hand 2 or 3 inches above it; you should only be able to keep it there for a couple of seconds before pulling away. 2. 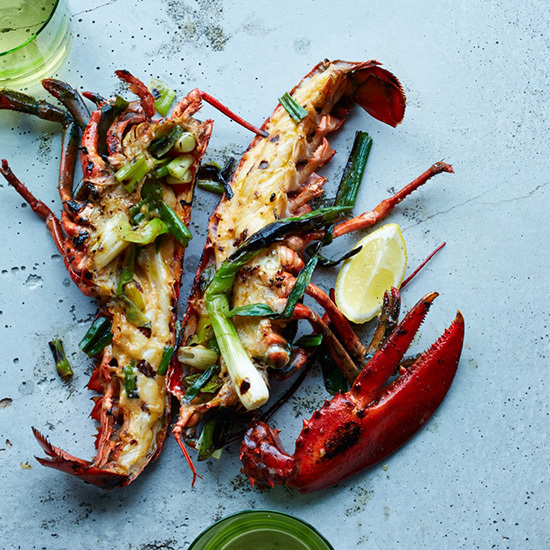 Drizzle lobster halves with olive oil. 3. Place lobsters on the grill, shell sides down. DO NOT turn lobsters over during grilling, or you will lose the butter, juices and any tomalley or roe. 4. Grill for about 5 to7 minutes. If the shells start to blacken, move them to a cooler part of the grill. 5. Pull the tails off the direct heat as soon as they’re firm and white with no translucency. The claws will need an extra minute or two over the direct heat to cook through. 6. Serve on platters with lemon wedges, an ear of corn and a side of butter sauce. In a stainless steel saucepan over medium heat, combine wine, vinegar and shallots. Bring to a simmer and reduce until there are 2 tablespoons of liquid. Turn off heat and keep in a warm place.